In 2010, I wrote an article for the Chronicle of Higher Education called “The Shadow Scholar” in which I detailed my decade-long career as an academic ghostwriter—or speaking less euphemistically—a guy who got paid to help students cheat. It went viral, generating more than 600 reader comments (not all of them friendly). It was kind of a big deal for a few minutes there. They wrote about it in the papers. I went on the radio. I even put on my third best shirt and interviewed with David Muir. Just kidding. None of that happened. We spent a few solid months assigning blame to one another before moving on to the next thing. The news cycle flipped over. The nation turned its eyes back to Justin Bieber, economic recession and other sources of human suffering. In the intervening time, I have attempted to shed light on the practices and policies of what is now a robust and growing academic ghostwriting industry. I have written from my experience and provided detailed observations from a former insider's perspective. As a penance for my illicit career, I consider it my lifelong responsibility to share everything that I know and understand about academic ghostwriting with any educators, administrators, or employers who care to learn. And proceeding from the view that ghostwriting and cheating in general are symptoms of larger dysfunctions in the educational system, I have offered my insight in the hope that educators might look beyond these symptoms in search of more meaningful diagnoses. Academic ghostwriting has evolved into a steady and stable industry. Meanwhile, academic ghostwriting has evolved into a steady and stable industry, one that has quietly gone about ingraining itself into the ecosystem of higher education. Thus, the goal of the discussion hereafter is to compel you to consider undetectable plagiarism not just as an academic problem but as an economic one, one in which demand must be removed before supply can be diminished. In the past, I've offered my insights on how to Detect and Deter ghostwriting and I've offered a window into the inner-workings of the ghostwriting business. Today, I'm more interested in reflecting on the market landscape of the custom paper writing industry, on the ways that it has expanded, evolved and achieved commercial legitimacy. Custom Paper writing is a Sustainable Industry. Custom Paper writing is a Googleable Industry. Custom Paper writing is an Embedded Industry. Educators aren't worried. They're pretty sure they've gotten in front of this thing, if it is even a thing. More disturbing and far less expected was the doubt, the self-satisfied refutation, and the outright incredulousness that greeted my claims. Many educators didn't just find my claims offensive, they found them impossible to believe. The skepticism is amusing, but it's also an enormous impediment. If you don't believe ghostwriting is a problem, I can't help you. Like most any problem, a solution begins with recognition. This must be the starting point for any meaningful research on the subject. Unfortunately, even the educators who have taken an interest have been all too willing to underestimate or dismiss its impact. Many of the notable “research” endeavors into ghostwriting have taken a similar form, that of the “secret shopper.” In this scenario, a researcher or journalist will employ the services of several ghostwriting companies for a fabricated assignment, and will consequently offer a qualitative assessment of the resulting product. For instance, Author and Duke Professor Dan Ariely touches on the subject of academic ghostwriting in his compelling and highly entertaining book, The (Honest) Truth About Dishonesty. Ariely's assessment of why students might employ ghostwriting services--a simple calculus that accounts for the perceived benefits, the risk of getting caught, and the level of societal acceptance for this mode of dishonesty--seems very much on point. When and why do people cheat? Consider the social circumstances involved in dishonesty, and provide a thoughtful response to the topic of cheating. Address various forms of cheating (personal, at work, etc.) and how each of these can be rationalized by a social culture of cheating. We requested a twelve-page term paper for a university-level social psychology class, using fifteen references, formatted in American Psychological Association (APA) style, to be completed in two weeks. This was, to our minds, a pretty basic and conventional request. The essay mills charged us from $150 to $216 per paper in advance. Two weeks later, what we received would best be described as gibberish. A few of the papers attempted to mimic APA style, but none achieved it without glaring errors. The citations were sloppy and the reference lists abominable—including the thesis of the paper. The day had not yet arrived when students can submit papers from essay mills and get good grades. Moreover, we concluded that if students did try to buy a paper from an essay mill, just like us, they would feel they had wasted their money and wouldn't try again. Because Ariely's experience in this area is entirely anecdotal, I would offer an anecdotal retort. I completed somewhere between 4,000 and 5,000 academic papers for paying students, all written at a level that would at the very least qualify as basically competent. And if I can boast for just a moment, some of what I wrote was pretty darn good. If I truly connected with a topic, I used it as an opportunity to learn something new and sharpen my writing tools. Every assignment I wrote was submitted for a grade. Some of these grades were also pretty good. There were (and are) plenty of perfectly capable writers doing this job. Because frankly, it pays better than most writing jobs. And I wasn't alone. There were (and are) plenty of perfectly capable writers doing this job. How do I know? Because frankly, it pays better than most writing jobs, especially when you're either getting started or giving up. Sometimes, good writers do this job because they have to. And their customers get good grades because professional writers are inherently more capable of producing serviceable essays than are middle-of-the-road students. But grades are really only a part of the story. For many students, mere completion of an assignment is worth its weight in words. It would be a mistake to assume that students who feel they are at risk of failing wouldn't just as soon settle for a mediocre passing grade. And as for the sense that students are departing their essay mill experiences with regret, a decade's worth of emails from my repeat customers says otherwise. Repeat customers are the lifeblood of this business. Once a student has handed in somebody else's work, he or she is on the hook. This is how I came to write entire dissertations, take entire courses, and complete full degree programs across full semesters for some of my customers. Professors shouldn't worry too much about essay mills, at least for now. The technological revolution has not yet solved this particular challenge for students, and they still have no other option but to write their own papers. But Ariely is missing the forest for the trees. I won't necessarily make the argument that, as a customer, you are guaranteed, or even likely to find a great product most of the time. But the custom paper writing industry is saturated with competitors. This competition must inherently produce writing of highly variant quality. The variables--from country of origin, to writer, to individual topic, to grader--are simply too great for us to actually predict at a glance which services are likely to produce quality papers and which are not. But an informed or experienced ghostwriting customer--and there are many--might fare better. As a ghostwriter, I was frequently requested by name, sometimes by those who had been referred by a friend, but mostly by repeat customers. These customers had connected with a writer and service they felt they could trust. As a ghostwriter, I was frequently requested by name, sometimes by those who had been referred by a friend, but mostly by repeat customers. Truly though, shopping for custom papers is like any other web-based consumer experience, no different than scrutinizing used electronics on eBay, or beer bottle art on Etsy, or "gently loved" books on Amazon. If you are a person who recently purchased an answering machine off of eBay and subsequently complained to the seller that it was incompatible with your iPhone, you probably shouldn't be using the internet without the help of a trusted adult. Otherwise, you'll at least figure out how to get what you need. Ariely is mistaken to dismiss the problem of essay mill ghostwriting, both by assuming that a poor product is somehow a deal-breaker and by assuming that this poor product fully represents an industry that is in fact quite varied. We'll dive into the subject of quality a little more deeply hereafter, but it begins with the understanding that ghostwriting is a diversified consumer industry consisting of premium products and basement bargains. And like any other consumer industry, you often get what you pay for. I would argue that ghostwriting sites have played an enormous role in this acceptance. The sheer proliferation of such sites across the web underscores just how mainstream and visible academic cheating has become. Before the web, cheating activities were scattered invisibly beneath the floorboards of every academic institution, known only to those with a reason to know. Today, the web offers a central and global repository of cheating services that one could very easily stumble upon accidentally while seeking honest support resources. The observable growth of the ghostwriting business means anecdotal methods like the one Ariely employs are increasingly less reliable. They tell us little about the true nature of a widespread and diversifying industry. lndeed, I found myself a little taken aback by Ariely's quick dismissal, and even more surprised that leading plagiarism-detection service Turnitin primarily cited Ariely's work in its discussion on academic ghostwriting. In my own personal interactions with Turnitin, I have found the organization's research department genuine in its desire to better understand academic ghostwriting. But in their reference to Ariely's work, they betray a certain comfort with the status quo. In Ariely's defense, his dismissal is practical and not personal. By contrast, for many educators, imperviousness to cheating is a point of pride. For instance, Marvin Brown, an ethics professor at University of San Francisco, said that “just one thing you cannot do in my class is getting a good grade by a ghostwriter.” Brown professed to use Turnitin to monitor for plagiarism and argued that the copy-and-paste detection program was sufficient to protect against fraud in his class. This is the sort of academic arrogance that allows ghostwriting companies to churn out readily submittable work. For many educators, imperviousness to cheating is a point of pride. Equally complicit is the ivory tower failure to understand the pragmatic motives underlying student decisions. It's not that Professor Hunt is wrong, per se. He just seems particularly disconnected from the practical pressures of formal education. In the fairytale land of gumdrops and candy-canes, perhaps students consider learning more important than grades. But here, in the real world, where grades equal achievement, and achievement equals opportunity, and opportunity equals income, it isn't quite so easy to absorb bad grades with good-natured academic inquisitiveness. In fairness, the views above don't represent all educators. Many recognize not just the existence of a thriving ghostwriting industry but also the institutional reasons that this industry succeeds. Charles Crook, a Professor of Education from the University of Nottingham, is one such educator. Suspecting that he had been the recipient of numerous fraudulent papers over the course of his career, Crook perused the web in search of ghostwriting services. As he did so, many of his preconceived notions were quickly dismantled. As a business model, ghostwriting has reached a place of maturity. He understands that, as a business model, ghostwriting has reached a place of maturity. It can no longer be dismissed offhand as merely the province of poor writers, crooked companies, and a desperate but negligible population of students. The business of academic ghostwriting is growing. Like I said, after “The Shadow Scholar” was published, student cheating was big news, at least for a few minutes. Just for fun, check out Five Thirty Eight's Ngram Viewer, which allows you to graph the frequency of usage for terms on Reddit since 2008. Note that the term “cheating” spikes hard at the end of 2010. Also note that the term has yet to return to those levels of usage since. Unfortunately, the whole online cheating conversation went out of style with teaching people how to “Dougie.” The assumption which seems to permeate the educational sphere today is that because academic ghostwriting is now out in the open, because we are now all aware of what goes on, the problem is somehow closer to being resolved. Pretty much the exact opposite is true. Quite unlike the “Dougie,” online cheating is as popular as ever. The reason you don't hear too much about it is because it has become a normal state of affairs in education. Any of the shock, anger, or doubt that greeted my article has given way either to blissful ignorance or begrudging acceptance. These conditions nurtured a slow and steady surge in the number of paper writing companies in operation. In one regard, the industry that I entered at the turn of the millennium hasn't changed a whole lot. It has simply expanded, proliferated, and evolved on pace with the general evolution of e-commerce. Of course, cheating, ghostwriting, and even essay mills are all old news. These things have been around pretty much as long as our meritocratic educational system. In 1951, the late Senator Ted Kennedy was famously expelled from Harvard University at the end of his freshman year for hiring a classmate to take his Spanish final. In fact, a high-profile scandal in the 1960s saw 13 Duke University students suspended, an unlucky sum that included a handful of football players and the paper ghostwriters who abetted them. This is just a glimpse of the long and illustrious history of academic dishonesty. In the coming months, we'll provide a more complete look at this history. In the meantime, simply consider that this type of cheating is nothing new. Its capacity for proliferation, however, is quite another matter. Relative to academic dishonesty, commercial web use is quite new. I wasn't necessarily an early pioneer of online cheating. There were sites and services popping up in the mid-90s, when I was still trading papers to my high school classmates for Pearl Jam mixtapes. I was more of a homesteader, part of the second wave of opportunists. I started ghostwriting for an online company in the year 2000. It was so long ago that my college dormitory had only just gotten high-speed internet that semester. If I had started the year before, I'd have been forced to use a dial-up modem or failing that, a library (gasp). At any rate, that was 16 years ago and I was using the cutting edge technology of the time—Google, DSL, and Red Bull with vodka—to get my ghostwriting career off the ground. By the time I departed the business ten years later, high-speed internet had achieved total penetration of America's campuses. Your average college student carried a device in his or her pocket far more powerful than the stationary desktop computer that I commandeered from my roommate so many years ago. So is cheating easier now than ever before? You'd better believe it is. What few challenges stood in the way of academic ghostwriting's total proliferation are scarcely a factor now. Students have the access they need. A competitive business place means that the market provides varying price points and degrees of quality control. The diversification of the online ghostwriting industry means that whatever a prospective customer needs, and in whatever scope of time, there is a purveyor equal to the task. We'll dive a little more deeply into each of these qualities in subsequent sections. But for now, consider these the basic conceptual building blocks behind the growth of the cheating business. There is some prevailing question as to whether or not the explosion of online classes has led to an increase in academic dishonesty. It seems probable but there is also no irrefutable evidence that this is the case. So while we can't conclude yet that more online education is leading to more online cheating, we can speculate that online education is allowing more people to get away with cheating. Online Schools Center published its findings from a survey with 635 undergraduate and graduate students. They found that a virtually identical percentage of respondents (32.7%) admitted to cheating in online classes as admitted to cheating in a live classroom (32.1%). By contrast, 4.9% of students who cheated in live classes were caught, while only 2.1% were caught cheating online. In addition to revealing the alarmingly low proportion of admitted cheaters who have been caught in the act, these numbers suggest that it's even easier to get away with cheating of the online variety. Sustainable growth in the academic ghostwriting sector provides at least a partial explanation for this pattern. Plagiarism detection programs like Turnitin have successfully blazed inroads into university procedures. According to their website, Turnitin has partnerships with 15,000 participating institutions, serving more than 30 million students. Services like Turnitin and Proctortrack have largely rendered cut-and-paste plagiarism a non-factor in the fight against academic fraud. The likelihood of getting caught is simply too great for many students to risk. Any educator who manages to overlook this type of plagiarism clearly hasn't made detection a priority. But for those students who can afford a slightly more refined and precise method of cheating, ghostwriting has grown in appeal. According to an article in The Atlantic from this past April, Director of the ICAI Teddi Fishman pointed out that detection software like Turnitin has proven a strong deterrent for students who might have historically employed primitive cut-and-paste methods of cheating. With the proliferation of these detection softwares, instances of cut-and-paste plagiarism have dropped precipitously. But Fishman also observes that would-be cut-and-pasters are increasingly turning to “bespoke essays or contact cheating.” Indeed they are. Quantifying the size of this industry presents some challenges. Some sites offer their own operational statistics. For instance, Papers Lead has an animated box halfway down its front page that displays “live stats.” These stats indicate that, at the time of writing in mid-June 2016, more than 300 writers were working on roughly 1,394 in-progress orders and that the company had successfully completed some 138,980 orders over the course of recorded history. Ninja Essays says that they have 403 “professional writers” on staff and that they complete roughly 141 orders a day. They also boast a “quality score” of 9.8 out of 10 as rated by 4,846 customers. Essay Vikings, who employ one of the ugliest spokes-cartoons you've ever seen, claim to employ 556 qualified writers, 97 of which were online at the time of my visit. The staff has collectively completed 28,726 assignments since the company began keeping track. Assignment Lab says it has completed 19,413 student assignments. Papers Helm says they employ over 300+ PhD Writers. So the point is, a handful of these websites will offer you a glancing snapshot of the industry. But how much each snapshot has been photo-shopped is never very clear. Even without more encompassing numbers though, we can draw some educated conclusions about the industry. To indulge in a fairly easy analogy, we can't really quantify just how many people are out there cooking up crystal meth, but we definitely know it's happening and that it is something we should be worried about. The same applies to undetectable plagiarism. It's happening and it is something we should be worried about. Based on the sheer number and variety of websites that can be readily located, that are fully operational, and that adhere to a similar set of procedural norms, we can resolve that what they are doing is working. Companies are surviving, achieving longevity, expanding, merging, multiplying, and just generally doing what companies in a surging small-business industry do. Collectively, these companies use proven strategies to power a dynamic consumer marketplace which, for all practical purposes, has no bottom. Online academic ghostwriting has achieved a level of visibility, permeation, and variety that attests to its sustainability. In the absence of compelling quantification, a few case histories can at least provide us with evidence of sustainability on a company-by-company basis. An Internet Archive site called the Wayback Machine provides a fascinating window into recent web history. A quick look at a few of the most searchable ghostwriting enterprises offers proof of steady growth and improvement, including numerous site redesigns, pricing restructures, and rebranding efforts. Take, for example, writemypapers.org, which was listed third overall among unsponsored links for the Google search term, “Write My Paper.” Let's begin with the first snapshot listed in the Wayback Machine's archive, which is taken from March of 2008. There are a handful of links bunched at the top of the page, including one that says “Order Now.” That link takes you to a page that says “coming soon.” This website is not much to look at. Still fairly primitive but clearly, the operation was making moves. Now, fast-forward to September of 2012 and these guys have a snazzy logo, an extremely stylish and sophisticated Order Now Button that closely resembles an old-school thermostat, and a tidy, professional, modern website complete with friendly stock photo people, traditional link menus, and all kinds of colorful ways to help you find the cheating option that's right for you. Visit today and you'll note that, even in the last four years, writemypapers.org has made extensive updates to its website. Today, the content is leaner, the price estimator has been refined, and when you show up at the page, you are greeted by a pop-up that asks you if you want to place an order via phone. It'll prompt you to enter your number and request a call-back from its customer service department. I can't tell you how many customers writemypapers.org has. I can't tell you how many writers work for this company. What I can tell you is that it began 8 years ago as a homemade website by a person with a limited grasp of the English language and that, in the intervening time, it has succeeded at least well enough to continually reinvest in its own improvement. Today, it looks as functional, sophisticated, and active as any viable eCommerce website in circulation. The partnership must have proven fruitful. By January of 2015, Essay Click's site had taken on a glossy sheen and a Live Support pop up. It's also pretty clear that the site was treated to another extensive overhaul just this last year. Some time in the early summer of 2016, EssayClick changed its color scheme, created a new logo, and added a creepy picture of a cartoon guy pulling books out of his skull. Seriously. Once again, evidence suggests that EssayClick has undergone steady change. Granted, the websites described above are simply cherry-picked from my Google search results. But if we take a more comprehensive look at the landscape, evidence bears out the claim that most ghostwriting operations are fairly sustainable. In December of 2014, we compiled an index of 325 leading academic ghostwriting sites. Though by no means comprehensive, this was designed to function as an informative sampling of industry competitors. 18 months later, we dropped by the same 325 websites with the help of the Wayback Machine to determine which had folded, which remained in operation, and which had made improvements since our last visit. Our findings fall into five major categories: websites that are active and unchanged; sites that have been updated or re-designed; sites that redirect to alternate ghostwriting services (implying consolidation); sites that are defunct; and sites that are likely active but for which Wayback Machine histories are unavailable. In the last of these cases, we can deduce that sites remain active but we can't determine what, if any, updates have been applied in the intervening time. The table above reports on our findings (A site-by-site index of our outcomes is included as Appendix A following this report). In addition to the five categories outlined above, we identify the number of URLs that ultimately lead to overlapping sites. These overlapping sites reduce the final number of total sites and active sites by five, meaning that all statistical findings are drawn from a sample of 320 distinct websites. For our purposes, we can consider sites falling into the Active (216), Likely Active (36), and Updated/Redesigned (31) categories as Collectively Active. Sites listed as Redirected (9) or Defunct (28) can be considered as Collectively Inactive. Thus, we can observe that of the 320 unique sites we visited in December of 2014, roughly 11% were Collectively lnactive in July or 2016, whereas roughly 89% remained Active. Of those Active services with observable history, roughly 12.55% updated or re-designed their sites in the 18 months since December 2014. This means that of 320 companies operating in late 2014, 28 are no longer with us, an 8.75% rate of failure across 18 months. Those odds aren't too bad as low-capital startups go. Essentially, ghostwriting companies are finding a reason to stick around and many are finding a motive to continually strive for improvement. It seems rational to deduce that sustainable—and likely growing—consumer demand is that reason. Certainly, growing consumer demand would seem the only plausible explanation for the enormous supply. How can we observe this supply? Why, Google of course. Google knows all, and if you ask nicely, it'll tell you everything you need to comprehend the scope of the ghostwriting businesses. If you want a rough idea of how many paper-writing companies are out there, just follow any number of relevant Google search terms to their logical conclusion, to the point at which results begin to overlap or become irrelevant. You won't get an exact number, but you'll gain as full an understanding of the industry as you'll ever really need. Let's begin with the premise that visibility and viability are closely related in eCommerce. The more readily Googleable a service, the more likely this service is being Googled, and consequently, the more likely this service is being used. Google explains in the animated infographic here that its constantly evolving search algorithm ranks results using over 200 factors. In particular, Google identifies Site & Page Quality, Freshness, and User Context as leading determinants of search rank. (I conducted the following searches using Google Incognito, so as to eliminate my particular User Context from the equation, tainted as it is by time-burgling Buzzfeed lists and celebrity gossip stories that I'd never actually admit to reading). So when you search for a paper-writing service, your results are vetted to the extent that the most readily visible services are probably active, probably serving a steady customer base, and probably taking periodic or regular steps to remain visible, including purchasing Google Ad-Space, employing SEO tactics, and establishing a multifaceted web-presence. Just for a starting frame of reference, when I Googled “find a roofer,” I got 819,000 search results. “Find a notary” got me 19,100,000 results. “Find a doctor” got me 341,000,000 results. “Find Waldo” got me 5,070,000, which has absolutely no relevance to this conversation but I was curious. Now, when I Google “find a custom paper writer,” I get 49,000,000 results. Perhaps more illuminating than any of these admittedly random points of comparison, Googling “find a tutor” nets me 42,900,000 results. Using this admittedly imprecise metric to gain a sense of the overall web presence of a given industry, we could deduce that the academic ghostwriting business has as much visibility and viability as the online tutoring business, if not just a little more. I could do this all day. There are more paper writing companies accessible through Google than you could possibly visit. There are thousands upon thousands. As a prospective customer, you couldn't begin to exhaust your options. Not that you'd ever have to. The whole point of this exercise is to demonstrate that, even without exact quantification, we know that the online custom paper business is, for practical purposes, infinite in size. There is a marketplace here, and a fairly large one at that. Based on the law of supply and demand, it defies probability that such an extensive supply would exist without some comparable degree of demand. So this means there are customers. Feel free to speculate about how many, but it's enough to inspire the existence of everything you see before you on Google. There is one very notable change though, not just since I began ghostwriting in 2000, but even since I retired in 2010. In just the last six years, custom paper writing has come to operate with a normalcy befitting most any eCommerce sector. It has become embedded in the educational ecosystem, a peripheral micro-economy as interwoven with the broader economy of education as the text book biz or the yaffa block racket. The result is an industry that operates more openly than ever before. As I've always attempted to convey, the online cheating business is not a black market. Most companies aren't actually breaking any laws. But still, in my day, there was some degree of quietude about it. We understood, as did the clients, that our business was frowned upon (at least by those who had any clue that it was happening). Custom paper writing was not a mainstream activity. There was no active secrecy but it was understood that this was a shady business. And it felt shady. The earliest web services had a cheap, monolithic and impersonal feel, like a contraband flea market where everybody used an alias and all sales were final. It was not uncommon that a customer might order an assignment only to realize that the site at hand offered no email or phone number contact. All communication would be conducted through a form submission page. This didn't necessarily mean you wouldn't get what you paid for but it meant you probably wouldn't have a whole lot of recourse if you didn't. It was simply more commonplace at the time for websites to operate in a hazy space somewhere between legitimacy and obscurity. This obscurity is truly a thing the past. As our Google sightseeing tour should suggest beyond a reasonable doubt, the ghostwriting business has become competitive. And as our jaunt through the Wayback Machine should demonstrate, individual companies expend the effort and capital necessary to function as competitors. This means that, at the very least, you have to appear to be trustworthy to survive. Nothing like the human touch to achieve this impression. I wasn't particularly worried about the legal ramifications of ghostwriting when I did it for a living. But I wasn't about to plaster my mug all over the internet while I was doing it either. Things have certainly changed. Just check out the handsome collection of folks over at Grade Miners. This staff wants you to know that there are actually human beings on the other end of the line. And just look at those faces. I trust them. Don't you? Another service, custompapers.com, maintains a blog called EssayTalk.com, on which they actually provide a bio, headshot, and brief interview with each of their 250 independently-contracted writers. I can back her on this claim. Ummm. Yup. That's how writing words is done. And that's what you're up against: companies that are capable of doing a really good job, at achieving some level of employment stability, and of nearing 20 years of survival. Not only has custompapers.com operated online since 2000, but it claims to enjoy an A+ rating from the Better Business Bureau. Check its credentials here. I actually worked for this company roughly a decade ago. Their standards were high, the product was good, and their customer service was timely. As a result, customers always came back for more. The only major change is that, today, this company operates with greater impunity, visibility, transparency, and human engagement than they did in my time. Both customers awarded the site 5 Stars. That's great news. Now Lindsey L. London is free to pursue her obvious calling as the femme fatale in a made-for-TV James Bond ripoff. We can't say for certain which testimonials are real and which are fabricated (although I think we can all at least agree that Travis and Kylie studied at the same grammar school). However, the alleged customer testimonial has become standard industry practice, one aimed at reinforcing the cultural normalcy of this consumer industry. If you've got a free hour or two, browse through a few dozen sites for testimonials. Not only are they generally entertaining and informative, but you can make a game out of deciding which ones are real and which are authored by web designers who thought nobody would ever actually take the time to read their testimonials. Regardless of their presentation, customer testimonials are a requisite part of demonstrating service authenticity. In short, this is how you assure your customers that you don't plan to rip them off. Welcome Cheater, May I Help You? Customer service in this business has changed a lot as well. As I said, it was not unusual for the average custom paper writing company to be reachable only by submission form in years past. Companies that provided phone numbers, personal email addresses or direct human contact were few and far between. This was a consequence of the illicit nature of the business and the hazy regional, state, and federal laws that might or might not apply to said business. Essentially, paper writing companies were still learning what they could and couldn't get away with, including the type of language and procedures that best insulated them from legal liability. But these conditions also fostered a sense of uncertainty for a customer base that already had cause for paranoia. Particularly in the Wild West of the early web, there were few systems in place to protect a would-be cheater from getting ripped off. Subpar products and broken service promises abounded. However, pure market behavior ultimately forced the industry to refine its presentation. Reputation and repeat business are now critical to the ghostwriting business. Survival demanded that those companies interested in longterm viability provide assurances. That economic imperative defines a customer experience that, today, is very different from the street-corner deal that greeted customers a decade ago. The proliferation of slick, well-produced websites and the sheer volume of options at the customer's disposal means that one need not settle for a shady and inaccessible monolith. There are email addresses, phone numbers, bios on prospective writers (as noted above), and everything else you need to feel like you've arrived at a legitimate place of business. What used to feel like a contraband flea market now feels like a more attentive version of your cable provider. In fact, the majority of companies most searchable on Google greet you immediately with friendly live-chatting customer service reps. In a competitive industry, those who wish to thrive must operate with the kind of transparency that modern web consumers have come to expect. Such is to say, not total transparency, but enough that we know we're getting what we've paid for and that we have some recourse if we don't. Or check out Papers Lead. Their chat function is pretty much the industry standard, a stock photo of a woman with impossibly white teeth smiling into a headset: “Need Help? Get in touch with our experts,” whom it says are available 24/7. Here's another dental anomaly at eWritingPal. I think the sad-face emoticon sells it. You don't want to hurt the custom paper writing company's feelings, do you? Paper writing companies don't just have feelings, they also have blogs and Facebook accounts. They're people, just like you and me! Online companies in every industry recognize that these days, it's not enough to have a monolithic website with a logo and stock photos from a board room that isn't actually your company's board room. You have to have a social media presence too. Write My School Essay understands this quite well. These guys are serious Facebookers. They post like a thousand times a day. Every single post is a suggested topic for a custom paper. It ultimately leads to a page on which you can order that exact custom paper or choose to visit a page where you can enter in your own details. Before you arrive at your destination though, a pop-up invites you to “like” the Facebook page in exchange for a coupon. 41 people actually liked the page on Facebook. That's…well I'm not gonna sugarcoat it…that's just not smart. Here's a good social media rule for all you kids out there: think before you link. Service offerings are also plentiful on peer-to-peer forums like Craigslist. Searching for “term paper” under the Craigslist “services” category for New York City yields 53 relevant results for just one week in June of 2016. And then there's the blogging. In addition to social media and p2p, paper writing companies understand the importance of creating content to enhance Googleability and drive traffic to their respective order forms. Can't you just hear Yaakov Smirnoff reading this? Now, I know what you're thinking. You're thinking, if services are providing a product as subpar as the writing here above, how are they even a threat? To reiterate, this is a fundamental flaw in the reasoning that allows educators to dismiss offhand the threat of academic ghostwriting. Like any industry, custom paper writing is a business that is increasingly diversified. Companies that turn out a bad product for a low price share the marketplace with companies that turn out a good product for a higher price. And seriously, I'm not even kidding, sometimes a bad product is exactly what the student needs. For a poor student, handing in a poor paper is not only better than handing in nothing at all, but it makes for a far more plausible act of fraud. So please, find no comfort in the fact that blogging and social media have the potential to expose any number of paper writing companies as mediocre or even laughably inferior. These qualities are not generally a deterrent. And if they are, no shortage of more reputable and competent services can be readily located in their place. PaperDue is a perfect example. Let's just start with the fact that they've been in operation since 1998. Kids, let me tell you about 1998. Bill Clinton was president, Blink 182 was big time, and every single day, a company called AOL would send you a thing in the mail called a compact disc, offering several free hours of access to your very own dial-up email account. Paperdue.com is your one stop shop for all researching and writing needs. The website was founded in 1998 with the purpose of assisting students worldwide with their studying and writing needs. We have provided a unique array of products, services, and links which have proven to help students become better learners, resulting in higher grades. Need help with translating your paper into another language? We can handle that. Need a citation generator to make sure your reference page is correct? No problem at all. Need a paper edited by a professional writer for structure and content? We are your answer. Need a question answered about your paper by a professional tutor? Yes, we can do that as well. Ok. I'm not saying it's Walt Whitman exactly. But these are the right words and they're mostly in the right order. When I say "right words," I don't just mean that they make sense either. These words imply that PaperDue isn't helping students cheat. They're assisting students with their studying and writing needs. They help students become better learners. They translate, edit, and tutor. We know what they really do. But PaperDue has taken all the appropriate steps to present a legitimate front, and consequently, to secure its longterm survival. It also helps that the website is fresh and fast, the ordering process is easy and, get this, they have 7,377 Facebook Likes. They charge from a range of $18 to $39 per page depending on the length of time between the order and deadline. This pricing structure and price point places them right in line with other credible ghostwriting services. If you're paying a whole lot less than that, you should be wary of the source. This may be the product of a company located in a country where English is a second language, and where writers are compensated at far lower rates. I worked briefly for one such company, of Eastern European origin. In addition to being a generally negative, and therefore short-lived, employment experience, its output was genuinely abysmal. Its bidding system allowed customers to purchase papers at bottom-feeder prices. In turn, they got bottom-feeding writers. By contrast, PaperDue provides a pricing structure that suggests it knows what it costs to hire qualified ghostwriters. To reiterate a point that I think can't be stressed enough, academic ghostwriting is a consumer industry in which each company offers its own value proposition, be it affordability, reliability, or quality. Those companies that are motivated by quality tend to charge higher rates, pay their writers better and, consequently, employ better writers. What all of these companies have in common—the crummy ones and the good ones—is that they are all playing by the rules. Such is to say that there are rules to succeeding in the e-commerce sphere; rules of presentation, procedure, promise, proliferation, and presence. The fact that paper writing companies are following these rules tells you that any degree of secrecy which once shrouded this industry is gone. They operate unafraid. They operate legally and in the light of day. Paper-writing companies no longer stride a fine line between legitimacy and obscurity. In the place of obscurity is utter normalcy. As a consequence of its sustainability, and its probable growth, academic ghostwriting has become ingrained. If online ghostwriting spent its first decade of existence learning what it could and couldn't get away with, the industry spent its second decade figuring out, from a commercial perspective, what works and what doesn't. Today, the industry is embedded in the broader educational economy. If you are inclined to think of academic ghostwriting as a virus, consider that it has fully permeated the body of its host. Back when I first began to speak publicly on academic ghostwriting, I argued that the real focus should be on deterrence. Certainly, there is value in detection, as the effectiveness of services like Turnitin has demonstrated. But let's be clear. Such methods of detection are not deterrent of cheating. They are simply a deterrent to the type of cheating that they have the capacity to detect. Indeed, as we have noted, the deterrence of cut-and-paste cheating is probably directly connected to growth in the ghostwriting business. So while creating an academic ghostwriting detection service is a compelling economic proposition that—with widespread adoption—would surely produce one specific kind of deterrence, where would all those prospective cheaters go? Would they flock to another as-yet-unconsidered method of cheating? Will those lacking both an outlet for cheating and the capacity to independently complete their work simply be sluiced from higher education? I don't discourage detection but I would caution that the ghostwriting industry succeeds in part because this game of Whac-A-Mole is currently the only prong when it comes to the strategy of prevention. It is for this reason that I am more convinced now than ever before that deterrence is best achieved through fundamental changes in the way that students are instructed, tasked, tested, and evaluated. Student cheating is symptomatic of dysfunction within the educational system. Just as arresting a drug addict will do nothing to solve the root societal problem of addiction, successfully snaring a student on charges of cheating won't address the widespread causes thereof. Legions of students will continue to drive a custom paper marketplace that spans the entire globe, that wallpapers the web, that can't be disrupted by legal means, and that has a clear economic mandate to exist based on the will of the consumer. A whole mess of other imperatives that won't suddenly disappear just because we figure out how to police one method of cheating or another. Beneath all of these different but frequently overlapping motives is a unifying condition. Our educational philosophy is inherently impersonal. Large lecture halls, remote online courses, and even just apathetic professors help feed the impression that our students are nameless points on a bell curve (or worse yet, on a ledger sheet). This impression not only affords students the anonymity to feel they can get away with cheating but it also fosters the impression that nobody really cares if they do. Educators, particularly at the university level, are failing (or perhaps not attempting, in many instances) to reach students as individuals. For many, this failure makes cheating both easy to do and easy to rationalize. Once again, feel free to take a look at my guide to Detection and Deterrence of academic ghostwriting. But before you dive into that resource, carry the premise of this analysis with you. That is, the Sustainability, Googleability, and Embeddedness of the ghostwriting business are collectively the consequence of natural market behaviors. This industry has flourished around demand. That demand is created by the forces bulleted here above. If we really wish to confront and contract this market, and if we wish to do so without simply encouraging prospective cheaters to flock to another method of subterfuge, we must target these forces. We must, as parents, educators, policymakers, and even as students, recognize that the forces which create the demand for cheating services are the very same forces that cast the general quality of American higher education into doubt. The cure to the virus of academic ghostwriting is educational reform. If the ghostwriting company is an organism naturally fostered by our current educational ecosystem, it's time to change the ecosystem. Appears defunct by of March 30, 2016. Domain for sale. “No longer parked by GoDaddy”, by March 11, 2016. Address appears active. “No longer parked by GoDaddy” by March 7, 2016. Address appears active. 6. 1 to 1 Essays (http://www.1to1essays.com) “No longer parked by GoDaddy” by March 9, 2016. Address appears active. 7. 1 Way Essays (http://www.1wayessays.com) “No longer parked by GoDaddy”, by March 6, 2016. Address appears active. “Page cannot be displayed due to robots,” address appears active. 9. 12,000 Papers (http://www.12000papers.com) “No longer parked by GoDaddy”, by March 9, 2016. Address appears active. Updated by October 27, 2015. Upgraded by August 15, 2015. Updated by April 6, 2015. Re-designed by January 9, 2016. Updated by February 2, 2015. Appears defunct by January 10, 2016. “No longer parked by GoDaddy”, by February 20, 2016. Address appears active. “No longer parked by GoDaddy”, by February 22, 2016. Address appears active. Updated by March 6, 2016. “No longer parked by GoDaddy”, by March14, 2016. Address appears active. Updated by April 19, 2015. Updated by February 5, 2015. “Page cannot be displayed due to robots” but address appears active. Updated by March 18, 2015 and again by October 19, 2015. Active, unchanged. Same as entry #56. Updated by May 12, 2015. Active, unchanged. Same as entry #52. “Page cannot be displayed due to robots.” Active, unchanged. Same as entry #56. Active, unchanged. Same as entry #60. “No longer parked by GoDaddy” by March 12, 2016. Address appears active. Updated by June 7, 2015. “No longer parked by GoDaddy” by April 18, 2016. Address appears active. Defunct, domain for sale by August 1, 2015. Currently 404 Error. “No longer parked by GoDaddy” by March 6, 2016. Address appears active. “Page cannot be displayed due to robots” Address appears active. “No longer parked by GoDaddy” by March 13, 2016. Address appears active. Updated by June 24, 2015. “Page cannot be displayed due to robots”, address appears active. Updated by August 1, 2015. 103. Download A Paper (http://www.download-a-paper.com) “No longer parked by GoDaddy” by March 11, 2016. Address appears active. 104. Due Now (http://www.duenow.com) Defunct after October 9, 2015. 105. E-Cheat (http://www.echeat.com) Active, unchanged. 106. Ecology Papers (http://www.ecologypapers.com) Active, unchanged. 107. E Coursework (http://www.e-coursework.com) “No longer parked by GoDaddy” by February 29, 2016. Address appears active. 108. Easy Essay Help (http://www.easyessayhelp.com/) Active, unchanged. 109. Easy Papers (http://www.easypapers.com) “No longer parked by GoDaddy” by March 10, 2016. Address appears active. 110. Edu-Papers (http://www.edupapers.net) Active, unchanged. 111. Edu-Wizards (https://www.eduwizards.com/) Active, unchanged. 112. Effective Papers (http://www.effectivepapers.com) Updated by December 12, 2015. 113. English Essay Writing Help (http://english-essay-writing-help.org/) Active, unchanged. 114. Essay Bank (http://www.essaybank.com) Active, unchanged. 115. Essay Boy (http://www.essayboy.com) Active, unchanged. 116. Essay Cyber (https://www.essaycyber.com/term-paper-help) “Page not archived”. Address appears active. 117. Essay Depot (http://www.essaydepot.com) Active, unchanged. 118. Essay Doc (http://essaydoc.com/college-term-paper.html) Active, unchanged. 119. Essay Edge (https://www.essayedge.com) Active, unchanged. 120. Essay Empire (http://www.essayempire.com) Active, unchanged. 121. Essay Finder (http://www.essayfinder.com) Active, unchanged. 122. Essay Girl (http://www.essaygirl.com) Active, unchanged. 124. Essay Have (http://essayhave.com/) Active, unchanged. 125. Essay Heaven (http://www.essayheaven.com) Active, unchanged. 126. Essay Help (http://essayhelp.org/) Active, unchanged. 127. Essay Land (http://www.essayland.com) Active, unchanged. 128. Essay Leaders (http://essayleaders.net/) Active, unchanged. 129. Essay Leaks (http://www.essayleaks.com/) Active, unchanged. 130. Essay Lib (http://www.essaylib.com/) Active, unchanged. 131. Essay Mania (http://essaymania.com) Active, unchanged. 132. Essay Masters (http://www.essaymasters.co.uk/) Active, unchanged. 133. Essay On Time (http://www.essayontime.com/) “Page cannot be displayed due to robots.” Address appears active. 134. Essay Page (http://www.essaypage.com) Active, unchanged. 135. Essay Panda (http://www.essaypanda.org/) Active, unchanged. 136. Essay Pros (http://www.essaypros.com) Active, unchanged. 137. Essay Shark (http://one-hour-essay.essayshark.com) Active, unchanged. 138. Essay Site (http://www.essaysite.com) Active, unchanged. 139. Essay Town (http://www.essaytown.net/) “Page cannot be displayed due to robots.” Address appears active. 140. Essay Trader (http://essaytrader.net) Active, unchanged. 141. Essay Writers (http://www.essaywriters.com) Active, unchanged. 142. Essay Writing Services (http://essaywritingservices.org/) Active, unchanged. 143. Essaypedia (http://essaypedia.com) Active, unchanged. 144. Essays Now (http://essays-now.com) Active, unchanged. 145. Essays President (http://www.essayspresident.com/) Active, unchanged. 146. Essays Service (http://essaysservice.com) Active, unchanged. 147. Essays-Term Papers To Go (http://www.essays-termpapers2go.com) Active, unchanged. 148. Evolution Writers (http://www.evolutionwriters.com/) Updated by October 26, 2015. 149. Example Essays (http://www.exampleessays.com) Active, unchanged. 150. Expert Assignment Help (http://expertassignmenthelp.com/) Updated after December 19, 2015. Error with snapshots after that point. Address active. 151. Expert Term Paper Advice (http://www.expert-term-paper-advice.com) “No longer parked by GoDaddy,” by March 13, 2016. Address appears active. 152. Explicator (http://www.explicator.com) Active, unchanged. 153. EZ Write (http://www.ezwrite.com) Appears defunct by August 1, 2015. Address currently does not work. 154. Fast Essays (http://www.fastessays.com) Active, unchanged. Same as entry #155. 155. Fast Papers (http://www.fastpapers.com) Active, unchanged. Same as entry #154. 156. Fastest Essays (http://www.fastestessays.com) Updated by March 14, 2016. 157. Film Papers (http://www.filmpapers.com) Active, unchanged. 158. Flash Papers (http://www.flashpapers.com) Active, unchanged. 159. Foreign Student Union (http://www.foreign-student-union.com) Active, unchanged. 160. 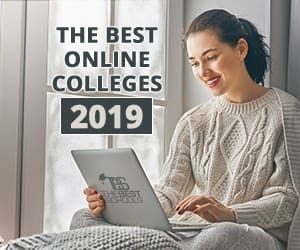 Free College Essays (http://www.free-college-essays.com/) Active, unchanged. 161. Fresh Essays (http://www.freshessays.com/) Updated by December 7, 2015. 162. Gay Studies Papers (http://www.gaystudies.com) Active, unchanged. 163. Genius Papers (https://www.geniuspapers.com/custom) Appears defunct after April 4, 2013. 164. Get A Paper (http://www.getapaper.com) Active, unchanged. 165. Ghost Papers (http://www.ghostpapers.com) Active, unchanged. 166. Greek Spot (http://www.greekspot.com) Active, unchanged. 167. Hamlet Essays (http://www.hamletessays.com) Active, unchanged. 168. Hello Essay (https://www.helloessay.com/) Active, unchanged. 169. History Papers (http://www.historypapers.net) Active, unchanged. 170. Hot Term Papers (http://hottermpapers.com/help.html) Active, unchanged. 172. International Student (http://www.internationalstudent.com/) Active, unchanged. 173. Itchy Brains Central (http://www.itchybrainscentral.com) Active, unchanged. 174. JFK Papers (http://www.jfkpapers.com) Active, unchanged. 175. Keg Party (http://www.keg-party.net) Active, unchanged. 176. King Lear Essays (http://www.king-lear-essays.com) Active, unchanged. 178. Lazy Students (http://www.lazystudents.com) Appears defunct, domain for sale by July 29, 2015. 179. Live Paper Help (http://livepaperhelp.com/) Active, unchanged. 180. Machiavelli Papers (http://www.niccolo-machiavelli.com) Active, unchanged. 182. Mag Order (http://www.magorder.com) Active, unchanged. 183. Management Paper (http://managementpaper.com/) Active, unchanged. 184. Master Papers (http://www.masterpapers.com) Active, unchanged. 185. Math Reports (http://www.mathreports.com) Active, unchanged. 186. Maths Flash (http://mathsflash.com/) Active, unchanged. 187. Mega Essays (http://www.megaessays.com) Active, unchanged. 188. Midterm.us (http://www.midterm.us/) Active, unchanged. 189. More Papers (http://www.morepapers.com) Active, unchanged. 190. Most Popular Term Papers (http://www.mostpopular-term-papers.com/) Active, unchanged. 191. Music Essays (http://www.musicessays.com) Active, unchanged. 192. My Assignment Help (http://myassignmenthelp.com/) Updated by January 25, 2015. 193. My Best Paper (http://mybestpaper.net) Active, unchanged. 194. My Custom Essay (https://mycustomessay.com/) Active, unchanged. 195. My Essay Service (http://myessayservice.com/) Active, unchanged. 196. My Essay Services (https://myessayservices.com/) Active, unchanged. 197. My Essays (http://www.myessays.com) Address will not load, possibly defunct after March 24, 2016. 198. My Great Essays (http://www.mygreatessays.com/) Active, unchanged. 199. My Paper Geek (http://mypapergeek.net/) Active, unchanged. 200. My Paper Writer (http://mypaperwriter.com/) Active, unchanged. 201. My Term Paper Writing Service (http://mytermpaperwritingservice.com) Active, unchanged. 202. My Term Papers (http://www.mytermpapers.com) Updated by January 10, 2016. 203. Nice Term Paper (http://nicetermpaper.com) Appears defunct by July 8, 2015. 204. No Cheaters (http://www.nocheaters.com/) Active, unchanged. 205. Non Plagiarized Term Papers (http://www.non-plagiarized-termpapers.com) Updated by November 14, 2015. 206. Nursing Papers (http://www.nursingpapers.com) Active, unchanged. 207. Online Papers (http://www.online-papers.com) Defunct by March 5, 2015. 208. Order Custom Paper (http://ordercustompaper.com/) Active, unchanged. 209. Order Essay Online (http://www.orderessayonline.com/) Active, unchanged. 210. Paper Download (http://www.paperdownload.com) “No longer parked by GoDaddy” by March 11, 2016. 211. Paper Falcons (http://paperfalcons.com/essays/) “Not archived”, address appears defunct, domain for sale. 212. Paper Geeks (http://www.papergeeks.com) Active, unchanged. 213. Paper Help (http://www.paperhelp.org/) Updated by May 26, 2016. 214. Paper Hunting (http://www.paperhunting.com) Active, unchanged. 215. Paper Masters (http://www.papermasters.com/) Active, unchanged. 216. Paper Moz (http://www.papermoz.com/) Appears defunct after May 18, 2016. 217. Paper Smart (http://papersmart.net) Active, unchanged. 218. Paper Store (http://www.paperstore.net) Active, unchanged. 219. Paper Topics (http://www.papertopics.com) Active, unchanged. 220. Paper Tutors (http://www.papertutors.com) Active, unchanged. 221. Paper Writers (http://www.paperwriters.com) Active, unchanged. 223. Paper Writings (http://www.paperwritings.com/) Updated by November 26, 2015. 224. Paper Written (http://paperwritten.com) Updated by August 14, 2015. 225. Papers 123 (http://www.papers123.com) Active, unchanged. 226. Papers 24/7 (http://www.papers24-7.com) Active, unchanged. 227. Papers Highway (http://www.papershighway.com) Active, unchanged. 228. Papers Inn (http://www.papersinn.com) Active, unchanged. 229. Papersville (http://www.papersville.com/) Appears defunct after May 18, 2015. 230. Perfect Term Papers (http://www.perfecttermpapers.com) Active, unchanged. 231. Perfect Writer (http://www.perfectwriter.co.uk/) “Page cannot be displayed due to robots,” address appears active. 232. Perfect Writing (http://www.perfectwriting.co.uk) “Page cannot be displayed due to robots,” address appears active. 233. Philosophy Papers (http://www.philosophypapers.com) Active, unchanged. 234. Phuck School (http://www.phuckschool.com) Active, unchanged. 235. Pick A Paper (http://www.pick-a-paper.com) Active, unchanged. 236. Planet Papers (http://www.planetpapers.com) Active, unchanged. 237. Plato Papers (http://www.platopapers.com) Active, unchanged. 238. Political Science Papers (http://www.politicalsciencepapers.com) Active, unchanged. 239. Premier Essay (http://www.premieressay.com) Active, unchanged. 240. Premium Essays (http://www.premiumessays.net/) Updated by April 26, 2015. 241. Private Writing (http://www.privatewriting.com/) Active, unchanged. 242. Prof Essay (http://www.professay.com/) Active, unchanged. 243. Psychology Term Papers (http://www.psychologytermpapers.com) Active, unchanged. 244. Pure Assignments (http://www.pureassignments.com/) Appears defunct after April 12, 2016. 245. Real Papers (http://www.realpapers.com) Active, unchanged. 246. Report Finders (http://www.reportfinders.com) Active, unchanged. 247. Research Assistance (http://www.research-assistance.com/) Active, can't verify earlier snapshots. 248. Research Haven (http://www.researchhaven.com) Updated by October 14, 2015. 249. Research Master Essays (http://researchmasteressays.com/) Snapshots appear unchanged, but security risk prevents accessing current site. 250. Research Papers (http://www.researchpapers.net) Active, unchanged. 251. Research Papers 24/7 (http://www.researchpapers247.com/) Active, unchanged. 252. Research Papers On Time (http://www.researchpapers-on-time.com) Active, unchanged. 253. Robert Frost Papers (http://www.rfrost.com) Active, unchanged. 254. Romantic Poetry Papers (http://www.romantic-poetry.com) Active, unchanged. 255. Rush Essay (http://term-papers-rush.com) Appears defunct after October 3, 2014. 257. Select An Essay (http://www.select-an-essay.com) “No longer parked by GoDaddy” by March 11, 2016. Address appears active. 258. Sharing Papers (http://www.sharingpapers.com) Active, unchanged. 259. Shiny Essays (http://termpaper-writingservices.com) Active, unchanged. 260. Sleek Writers (http://sleekwriters.org) Active, unchanged. 261. Smart Custom Writing (http://www.smartcustomwriting.com/) Active, unchanged. 262. Sociology Papers (http://www.sociologypapers.com) Active, unchanged. 263. Speedy Research (http://www.speedyresearch.net) Active, unchanged. 264. Sports Papers (http://www.sportspapers.org) Active, unchanged. 265. Spring Break Party (http://www.spring-break-party.com) Active, unchanged. 266. Student Essays (http://www.studentessays.com) Appears defunct by December 18, 2014. 267. Superior Papers (http://www.superiorpapers.com) Active, unchanged. Same as entry #269. 268. Superior Papers.us (http://superiorpapers.us/) Active, unchanged. 269. Superiors Paper (http://superiorspaper.com/) Active, unchanged. Same as entry #267. 270. Tailored Essays (http://www.tailoredessays.com) Active, unchanged. 271. Term Paper Blog (http://termpaper-blog.com/) Active, unchanged. 272. Term Paper City (http://www.termpapercity.com) Active, unchanged. 273. Term Paper Custom (http://www.termpapercustom.com) Active, unchanged. 274. Term Paper Dom (http://www.termpaperdom.com/) Appears defunct after May 18, 2015. 275. Term Paper Genie (http://www.termpapergenie.com) “Page cannot be displayed due to robots,” address appears active. 276. Term Paper HQ (http://www.termpaperhq.com) Active, unchanged. 277. Term Paper Masters (http://www.termpapermasters.com) Active, unchanged. 278. Term Paper People (http://www.term-paper-people.com) Active, unchanged. 279. Term Paper Service Help (http://termpaperservicehelp.com) “Not archived,” address appears defunct, domain for sale. 280. Term Paper Warehouse (http://www.termpaperwarehouse.com) Active, unchanged. 281. Term Paper Writing Service (http://www.termpaperwritingservice.org) “Not archived,” address appears defunct, domain for sale. 282. Term Papers Corner (http://www.termpaperscorner.com) Updated by April 23, 2015. 283. Term Papers Essay (http://www.termpapersessay.com) Appears defunct after March 24, 2016. Domain for sale. 284. Term Papers For Sale (http://term-papersforsale.com) Appears defunct after December 18, 2014. Domain for sale. 285. Term Papers On File (http://www.termpapers-on-file.com) Active, unchanged. 286. Term Papers R Us (http://www.termpapersrus.com) Active, unchanged. 287. Term Papers World (http://termpapersworld.com) Active, unchanged. 288. Term Papers Writer (http://termpaperswriter.org) Updated after November 14, 2015. 289. The Custom Essay (http://www.thecustomessay.com) Active, unchanged. 290. The Custom Term Paper (http://thecustomtermpaper.com) Active, unchanged. 291. The Essay Organization (http://www.essay.org) Active, unchanged. 292. The Paper Editor (http://www.thepapereditor.com/) Appears defunct after December 23, 2014. Domain for sale. 293. The Paper Experts (http://www.thepaperexperts.com) Active, unchanged. 294. The Pensters (http://www.thepensters.com) Active, unchanged. 295. The Semester (http://www.thesemester.com) Active, unchanged. 296. The Writer's Coach (http://www.thewriterscoach.com) Active, unchanged. 297. Theology Papers (http://www.theologypapers.com) Defunct after April 19, 2016. 298. Thesis Papers Writing (http://www.thesispaperswriting.com/) Active, unchanged. 299. Top Assignment Provider (http://topassignmentprovider.com/) Updated by August 25, 2015. 300. Top Term Papers (http://termpaperwritingservicehere.com) Address defunct after December18, 2014. Domain for sale. 301. Topical Paradise (http://www.angelfire.com/md/byme/topicalparadise.html) Active, unchanged. 302. Tuition Service (http://tuitionservice.org/) Defunct after December 19, 2014. Domain for sale. 303. UK Essays (http://www.ukessays.com/en-us/) Active, unchanged. 304. Unemployed Professors (http://unemployedprofessors.com) Active, unchanged. 305. Urban Sociology (http://www.urbansociology.com) Active, unchanged. 306. Val Writing (http://term-paper-writing-services.com) Defunct after July 26, 2014. 307. Web Based Papers (http://www.web-based-papers.com) Active, unchanged. 308. Wise Essays (http://www.wiseessays.com/) “Page cannot be displayed due to robots,” address appears active. 309. Women's Issues (http://www.womensissues.org) Active, unchanged. 310. Write Engine (http://www.writengine.com/) Address does not load. Likely defunct after May 9, 2015. 311. Write Force (http://writeforce.com/) Active, unchanged. 312. Write My Essayz (https://writemyessayz.com/) Active, unchanged. 313. Write My Paper (http://www.writemypaper.biz/) Active, unchanged. 314. Write My Papers (http://www.writemypapers.org/) Active, unchanged. 315. Write Work (http://www.writework.com) Active as address listed, though snapshots redirect to studymode.com. Same as entry #316. 316. Writer Work (http://www.writework.com) Same as entry #315. 317. Writing Best (http://www.writingbest.com/) Active, unchanged. 318. Writing Elites (http://www.writingelites.net/) Active, unchanged. 319. Writing Expert (http://www.writing-expert.com/) Updated by August 10, 2015. 320. Writing Help (http://writing-help.com/) Active, unchanged. 321. Writing Helper (https://writing-helper.com/) Updated after March 8, 2016. 322. Writing Junction (http://www.writingjunction.com/) Defunct after May 5, 2016. 323. Writing Papers (http://www.writing-papers.com) Active, unchanged. 324. Writing Services Company (http://www.writingservicescompany.com) Active, unchanged. 325. Writing Sharks (http://writingsharks.com) Active, unchanged.